If you are planning a wedding in New York City or New Jersey, it is important to take the time to plan transportation for the bridal party, the groomsmen, and the happily married couple. At Hamilton’s Limo and Car Service, our New York City and New Jersey chauffeurs are here to help you in this regard. Our team has been the trusted transportation service for countless weddings in the local area. Everything that we provide is engineered to help make this important evening as special as possible. When you hire our car or limo service for your wedding, you can feel confident knowing that you made the best choice for your special occasion. We are proud to be professional chauffeurs, not merely drivers. Each of our team members is scrupulously selected, screened, and trained in order to ensure that we provide our customers with the highest quality services possible. With our help, your wedding will be a resounding success. Call Hamilton’s Limo and Car Service today if you need to hire a car or limo service for a wedding in New York City or New Jersey. Our courteous and polite staff would be happy to take your call. We can tell you about all of the amazing packages and vehicles that we have available for you. In addition, we would be happy to customize our services to your unique needs. Our professionals can schedule your reservation today. At Hamilton’s Limo and Car Service, our New York City and New Jersey chauffeurs are completely dedicated to customer satisfaction. 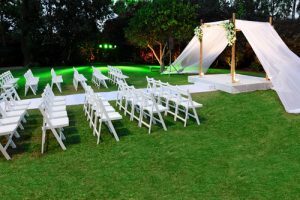 Although we offer packages as general guidelines to help you during the planning process, our team is happy to design specific services catered to your unique needs. In this way, our chauffeurs can help you accomplish all of your wedding related goals. We can begin helping you on the wedding day or earlier by picking up special guests from the airport. Our chauffeurs and fleet of vehicles will be available for all the bridal party and groomsmen transportation needs to the wedding site and to photoshoot areas. We can then get every essential person to the reception area. Our luxurious limos will then be able to take the bride and groom away in style. With the help of our New York City and New Jersey chauffeurs, the transportation to and from your wedding will be handled completely. This will allow you to focus on enjoying the evening to the utmost and forming the longest lasting lifetime memories. If you need to hire a professional car and limo service for a wedding in New York City or New Jersey, call Hamilton’s Limo and Car Service today at 862-520-7433, or fill out our online request form.